Interesting. More accurately, however, DRM is undead, a deceased business model which will continue to behave as if legally alive until incinerated. The Recording Industry Association of America, the very folks who helped craft the DMCA (Digital Millenium Copyright Act) might better have questioned the wisdom of suing senior citizens whose grandchildren copy DVDs. And going after universities? Oooom. Big No-No. The RIAA's high-water moment came in 2006, when it won a court ruling which declared all online file-sharing illegal. The RIAA is one of the most controversial corporate organizations in America. It has carried out a prolific lawsuit campaign against file sharers, including its record $1.92M USD judgment against Jammie Thomas-Rasset. It has also taken other less high-profile, but equally contentious positions including declaring making CD backup copies of legal bought works "stealing" and supporting Digital Rights Management (DRM), a means of trying to prevent individuals from copying digital works for backup or other purposes. One of the staunchest supporters of DRM, RIAA chairman and CEO Mitch Bainwol once commented two years ago, "DRM serves all sorts of pro-consumer purposes." 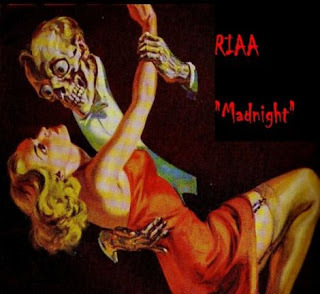 Even last year as DRM floundered against public opposition, the RIAA held hopes for a comeback. However, it now appears the RIAA has forsaken DRM, the tool it once held dear. In an interview for an upcoming SCMagazine article, Jonathan Lamy, chief spokesperson for the RIAA comments, "DRM is dead, isn’t it?" With iTunes going DRM free, DRM indeed seems set to go the way of the dinosaur. However, a few commercial entities like Electronic Arts continue to cling to DRM implementations like the controversial SecureROM for their brick-and-mortar sales. Even EA, though, has removed SecureROM from copies of its game Spore sold on Valve's Steam download service. In the end, DRM struck the public as simply too anti-consumer -- you already bought the content, so why shouldn't you be free to use or copy it? Malware-like implementations also did not help DRM proponent's case, nor did the fact that the protections were easily defeated -- as evidenced by Spore being the most pirated game in history. Now it appears the end is at last near for the scheme as its last advocates forsake it. As for the Kindle - that turned out that 1984 and Animal Farm were uploaded via "self-publishing", which lots of people do with the Kindle - they publish their own stuff. Trouble is, this company was publishing a copyrighted work without actually having any right to do so. And Amazon refunded the download fees for both books to all the customers whose copies "disappeared". Although, there is a way to make sure the books never disappear to begin with, even if pirated. yes, Bee, I'll get around to asking for that music addy. Simple. Put them on a memory card. Make sure what whenever you turn on the wireless button on the Kindle, you take the card out of the Kindle beforehand. Just have to make sure that card's not in there when the wireless is on. Anyway, that should work, unless that Kindle is a hell of a lot more complicated than it seems to be, and can take and keep latent orders from Amazon, in which case, I suppose the kindle could be programmed by Amazon to delete the book from the card even if the wireless is turned off...but I doubt it's that sophisticated. Amazon keeps all of the books/etc one buys in a online library, so they could delete it from there, which would delete it from the Kindle once the wireless is switched to "on"...but for the kindle to be able to delete the book from the memory card...I don't know. Sorry, thinking in type again. Agree, the card would work because they won't have thought that deeply about it. However, the Kindle is a walled-garden device. Turn it on wireless for any reason, you're in their garden. Meaning they can dynamically update any of its bits at any time.